How Does Anxiety Fit Into The Autism Puzzle? Anxiety seems to go hand in hand with Autism. Research has found that treating anxiety for ... See More those who are on the spectrum decreases the severity of symptoms. 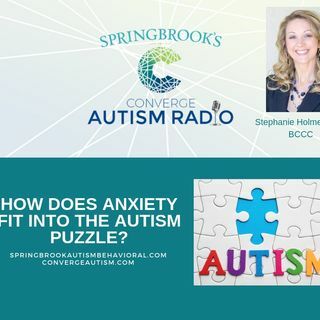 Stephanie and Melanie discuss Springbrook's comprehensive approach to treating anxiety in autism to include psychotherapy, medication, social groups, and occupational therapy.